NEW RELEASE: Alternative Tentacles Records with Dirty Water Records USA is proud to present The Darts – US first 7″ record! Available on limited edition yellow vinyl, it features two brand new tracks, “Subsonic Dream” and “Bullet” selected by both the band and Jello Biafra! The Darts are a garage-psych-rock supergroup that calls both Los Angeles, CA and Phoenix, AZ home! The band formed in early 2016, quickly becoming a well-seasoned touring powerhouse with multiple US and European tours already under their belt. Having already built a devoted fanbase around the globe, they show no signs of slowing down anytime soon. The 7″ is their first release since the bands 2017 debut full length “Me. Ow.” on Dirty Water Records! Find out more about THE DARTS here! The Darts “Subsonic Dreams/Bullet” 7″ will hit stores and digital on June 20th, pre-order your copy of the 7″ now before it’s sells out! We have very limited quantities on hand! Listen to “Bullet” from the the 7″ below right now! 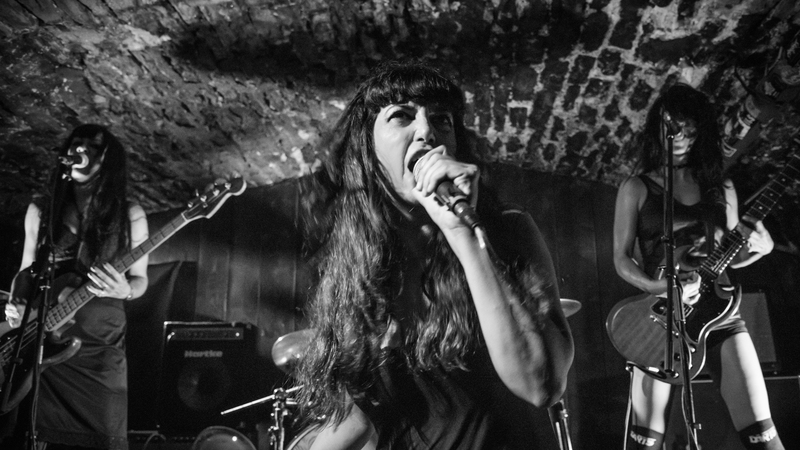 The Darts purr and growl to the single “The Cat’s Meow” from their 2017 LP “Me.Ow.” (Dirty Water Records, London).